Working for a living is really cutting into my crafting time. At the moment in these early stages, everything is pretty hectic, and I am putting in some fairly long hours, so weekdays/nights are pretty much a no-go on the crafting. 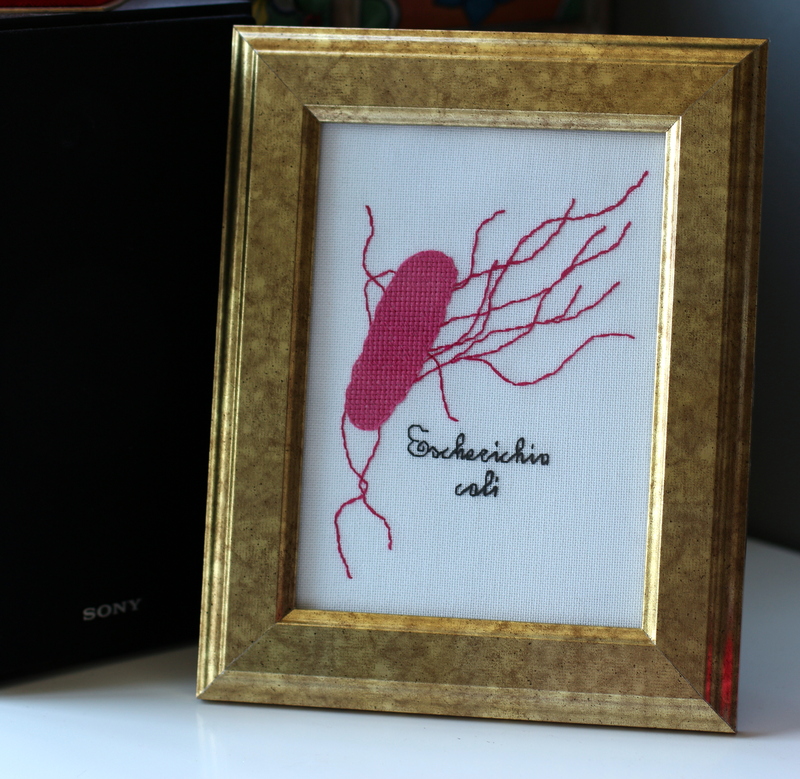 However, Friday I got out early and felt the urge for some crafting, and this week at work I have mainly been all about the enteric bacteria, so that was the inspiration for this little pretty! 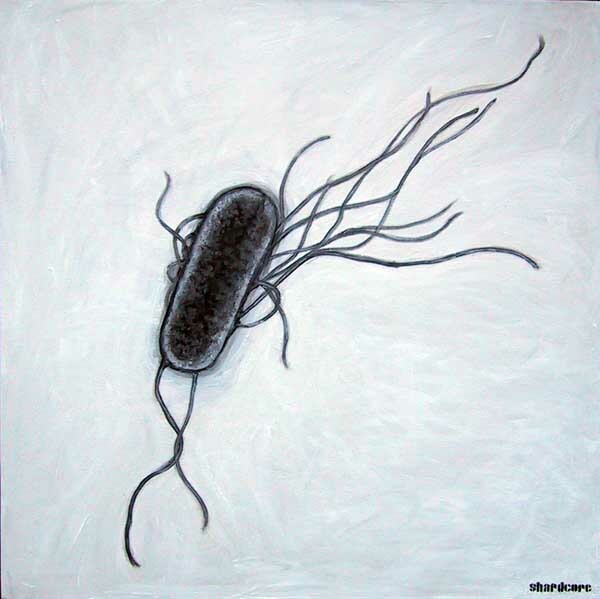 This being Escherichia coli, favourite plaything of molecular geneticists and scourge of clinical microbiologists – diagnosing E.coli gastrointestinal infections in the routine way is a bit of a pain. Anyhow, I used this artist’s rendition to sketch out a copy on graph paper (freehand! Get me! I generally consider my artistic talents to be very limited indeed ;)), and used that to convert it into a cross stitch pattern. 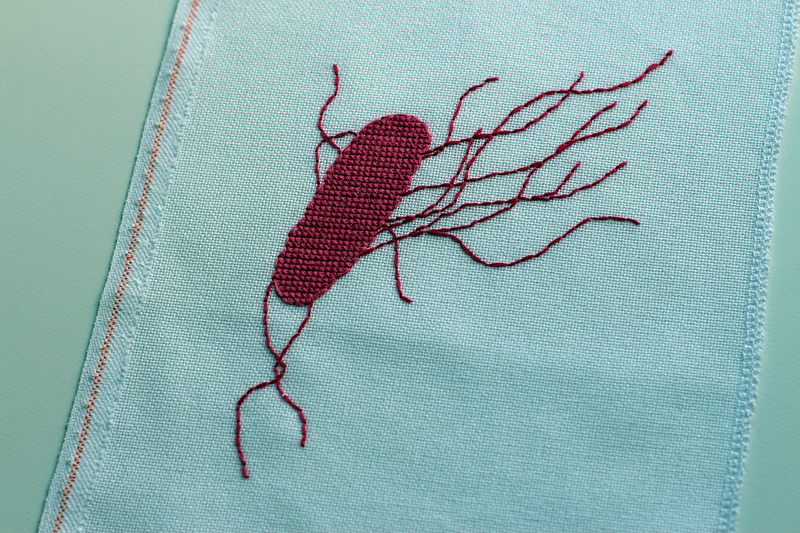 I stitched it on evenweave, using DMC 602 for the cross stitch of the cell, and backstitch around the edges, and DMC 601 to stitch the flagella. My frame was just an inexpensive gold Virserum frame from IKEA. I think it looks pretty cute! 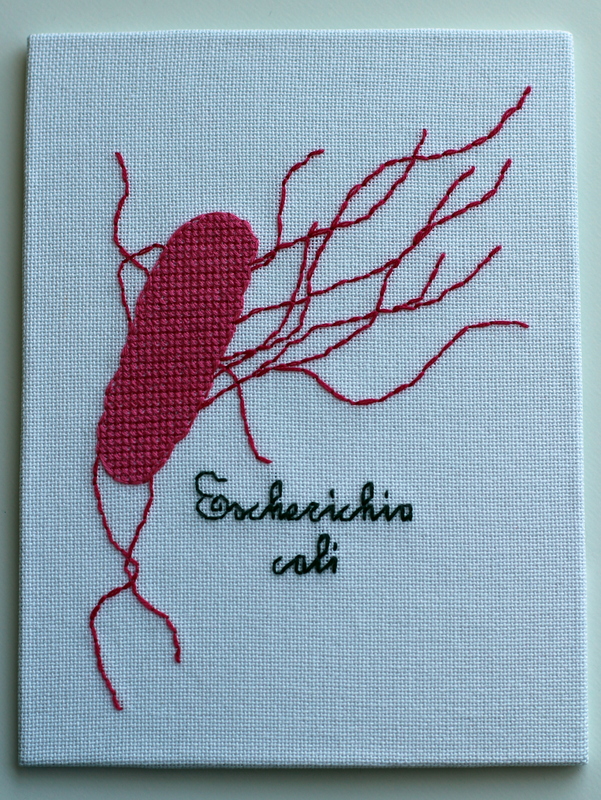 If you want an E.coli cross stitch of your very own, you can get a .pdf scan of my sketched out pattern here. Mine is going to sit on my desk, look pretty, and inspire me to get stuff done!